This YA contemporary is a gorgeous summer read about family, friendships and first love. Then Scarlett’s boyfriend is killed in a motorbike accident, just before she discovers she is pregnant with his child. For the first time Scarlett is the vulnerable one – she really needs Halley. But Halley has troubles of her own and their friendship begins to bend under the weight of it all. It’s a bond too strong to break though, isn’t it? 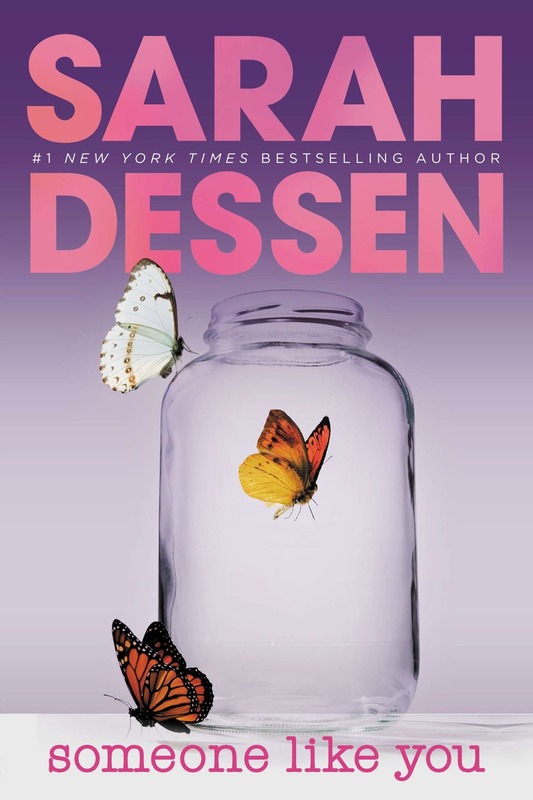 I’ve read lots of Sarah Dessen and have loved every one of them so far. I actually had Someone Like You on my shelf for years thinking I’d already read it, only to read the blurb and realise I hadn’t! So as soon as I finished the book I was reading I picked this one up immediately and read it in two days flat. The characters in this book are just incredible. I loved Halley and her terrible decisions. Her relationship with her mum is fascinating. It’s so different from Scarlett’s relationship with her mum, but I found parts of both family dynamics so familiar and relatable. While Scarlett’s pregnancy is at the centre of this story this book isn’t about it. It’s about coming of age, it’s about first love. It’s about complicated families and friendship and learning from your mistakes. Someone Like You was actually published in 1998, but 20 years on and it’s standing the test of time. If it wasn’t for the lack of mobile phones and a comment about one Halley’s birthdays being in 1986 I’d have been none-the-wiser. There are a few Sarah Dessen novels I’m yet to read but this has made me so excited to jump right into them. She’s a YA superstar, one that I’d compare to adult writers like Paige Toon and Sophie Kinsella, both of which I also adore.